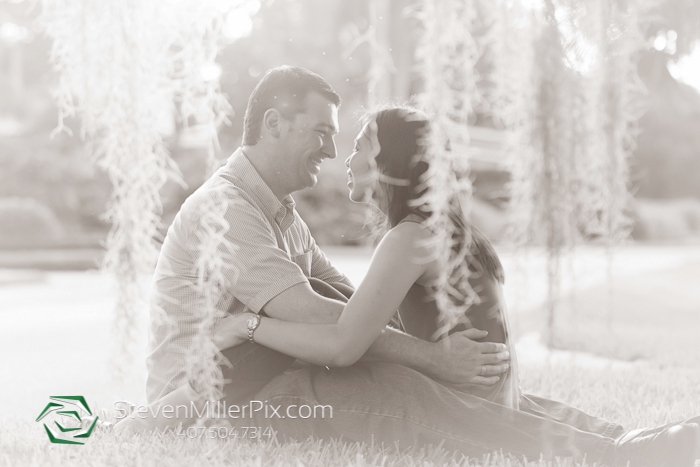 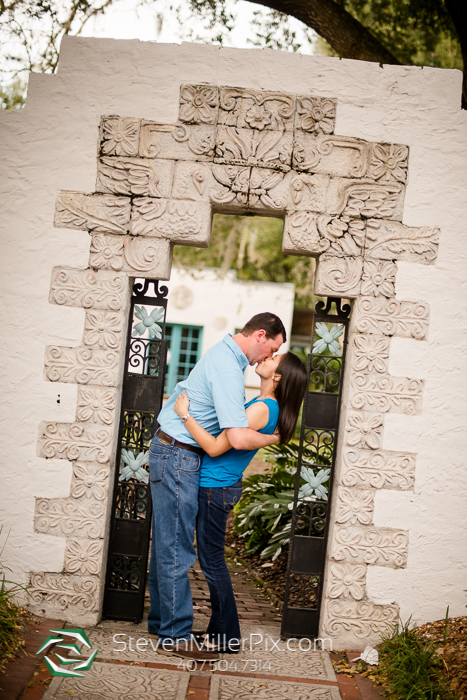 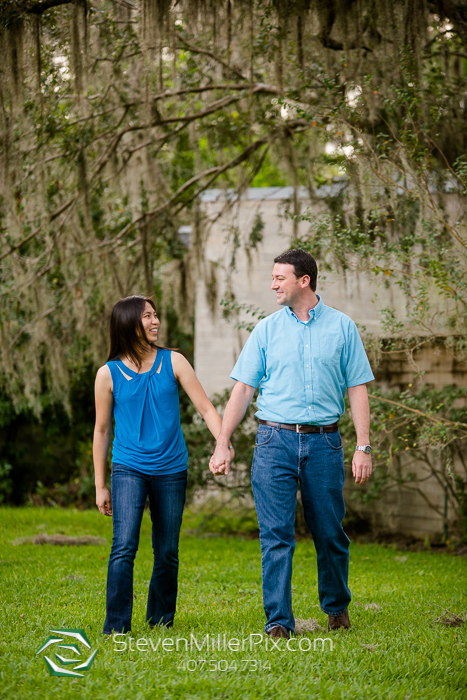 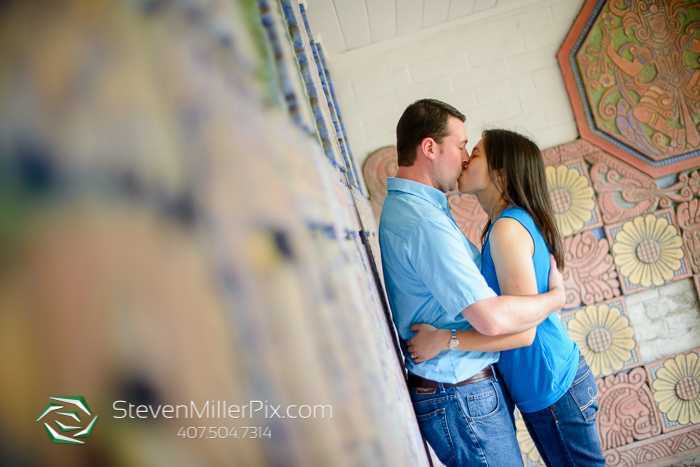 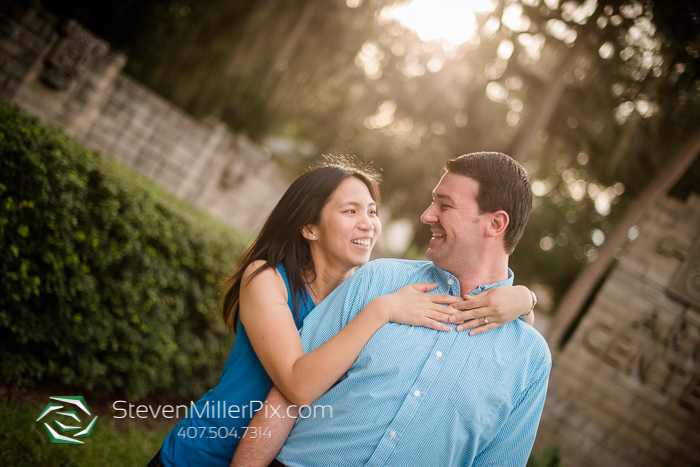 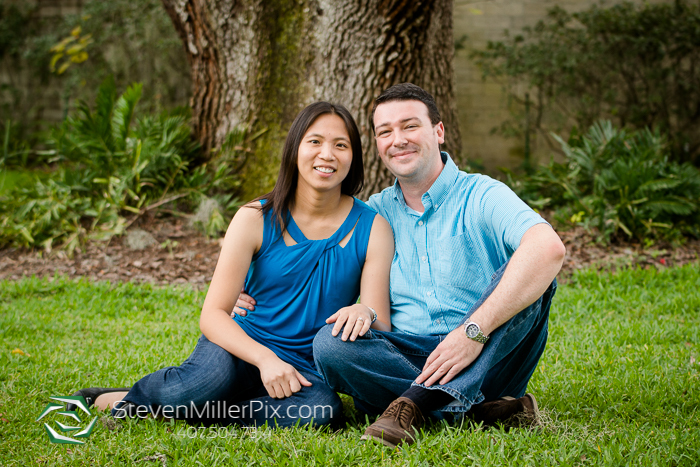 For the engagement session of Maria and John, our wedding photographer Jessica took this sweet couple to the Maitland Art Center! 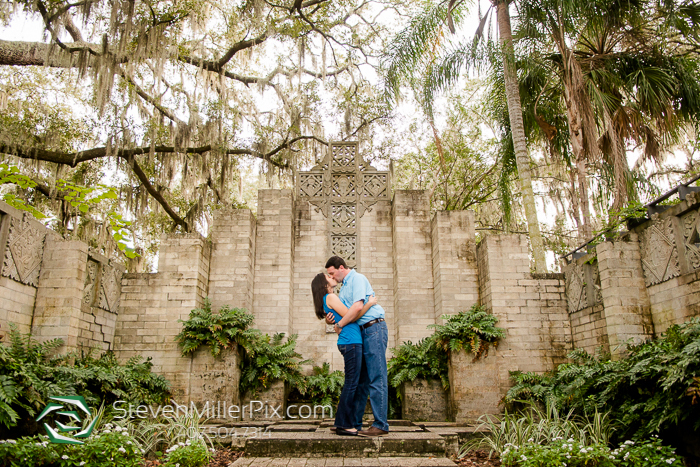 This Orlando venue is also very popular for intimate weddings, since the venue is beautifully nestled around oak trees, Spanish moss, and a unique flare with stone architecture and colorful flowers! 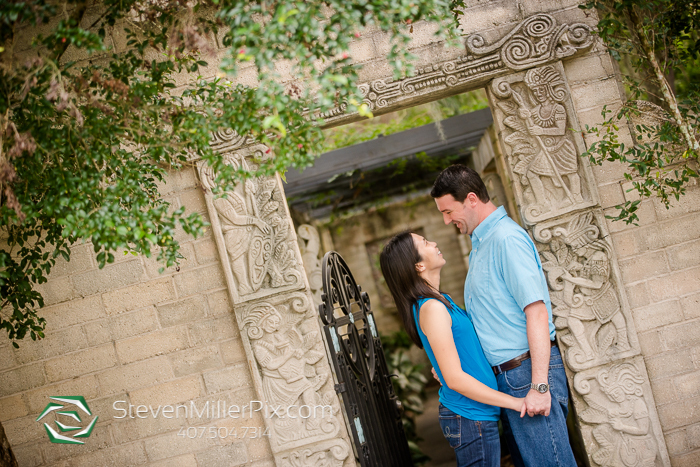 Jessica took them around this venue, and we had such a blast! 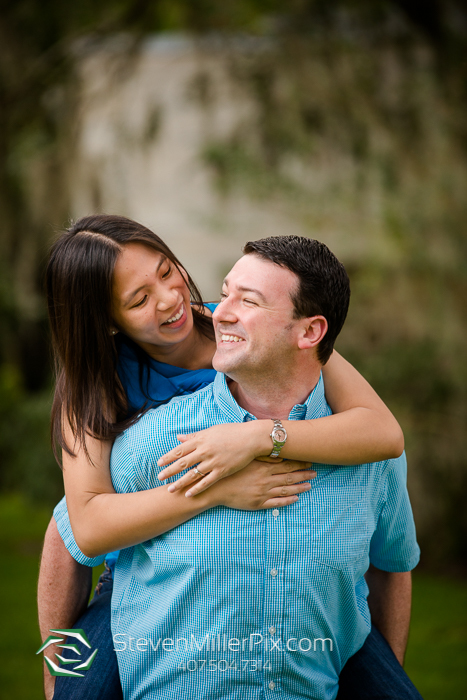 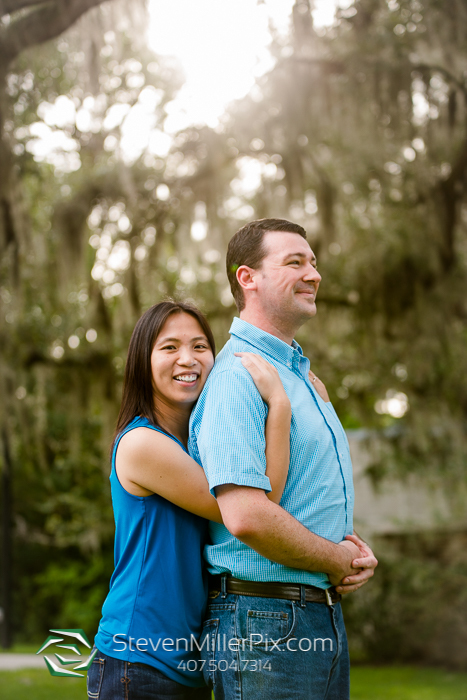 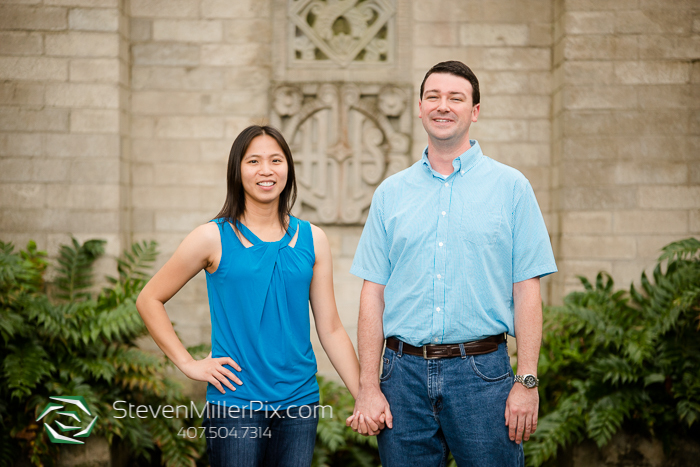 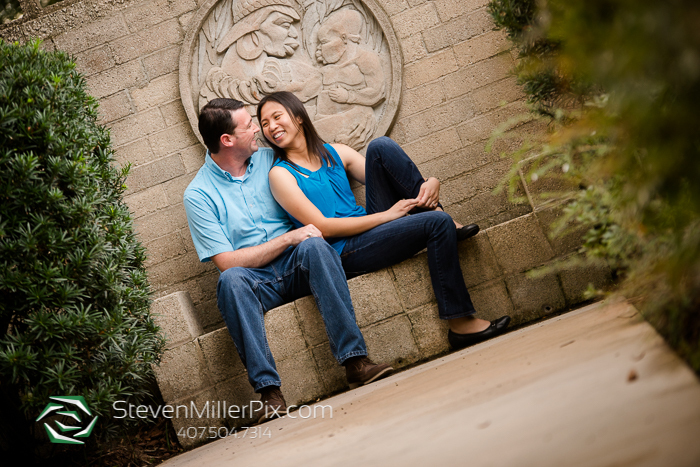 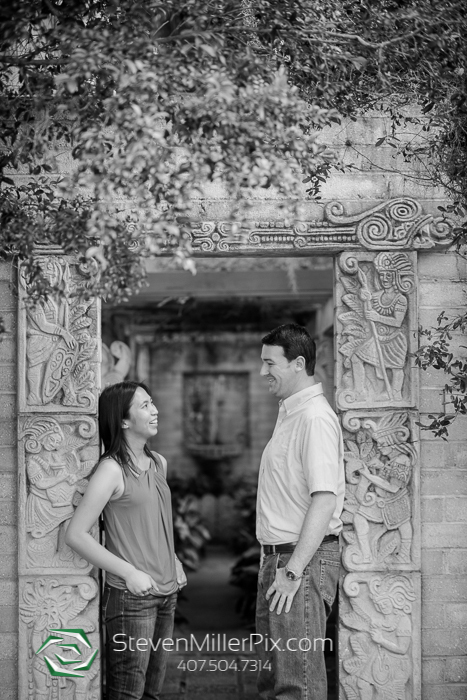 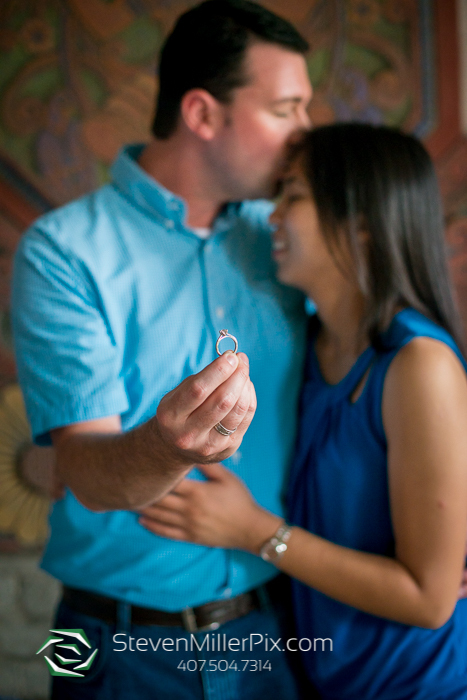 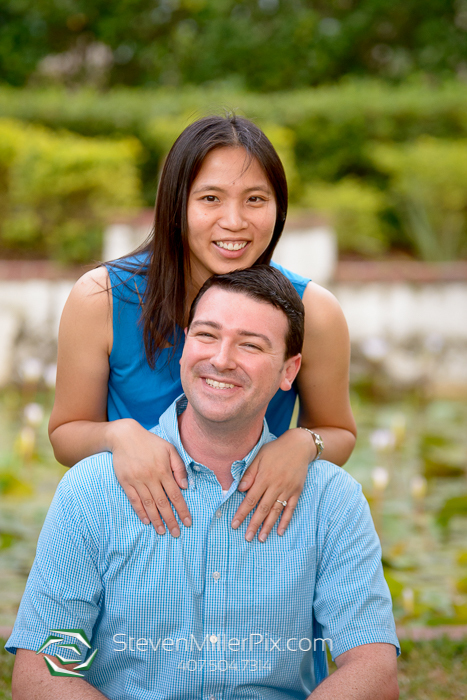 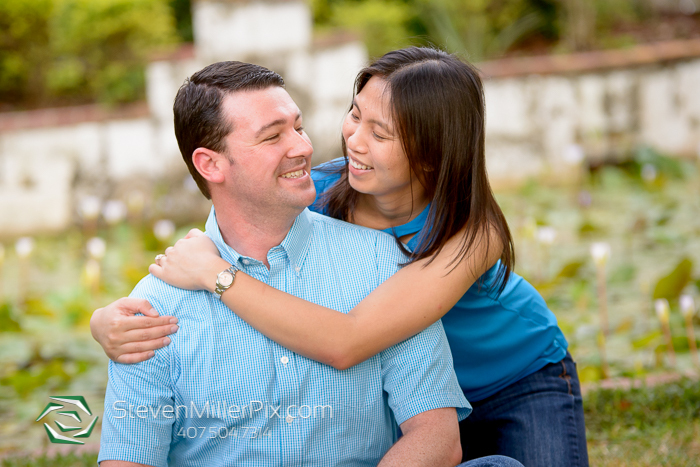 Maria and John are incredibly laid back, which we love in our wedding couples! 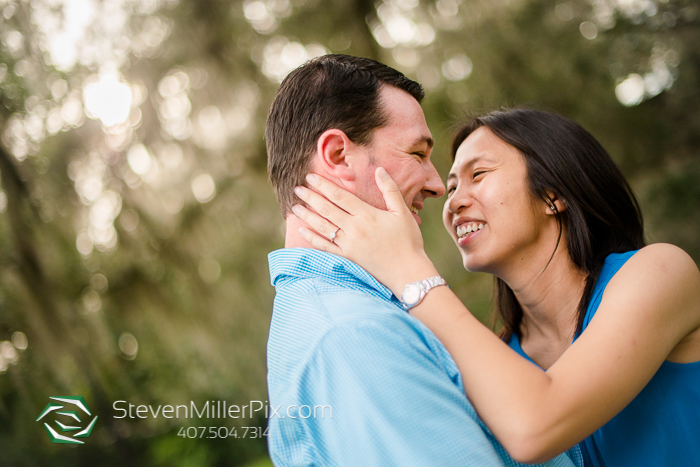 The weather was nice and cool after a typical Florida week of heat, not to mention we had to reschedule this session due to an originally rainy day! 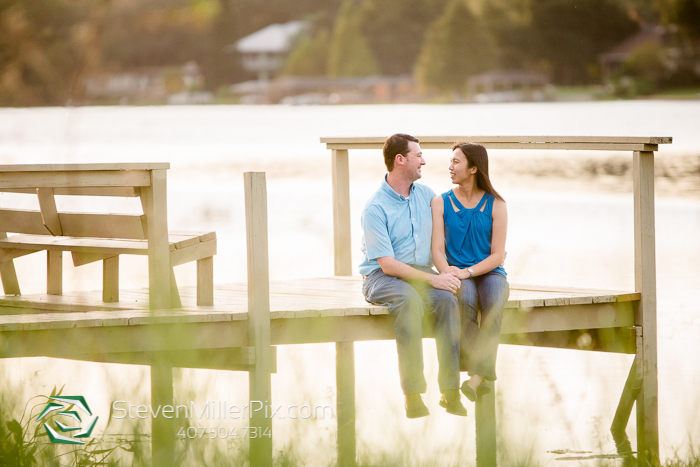 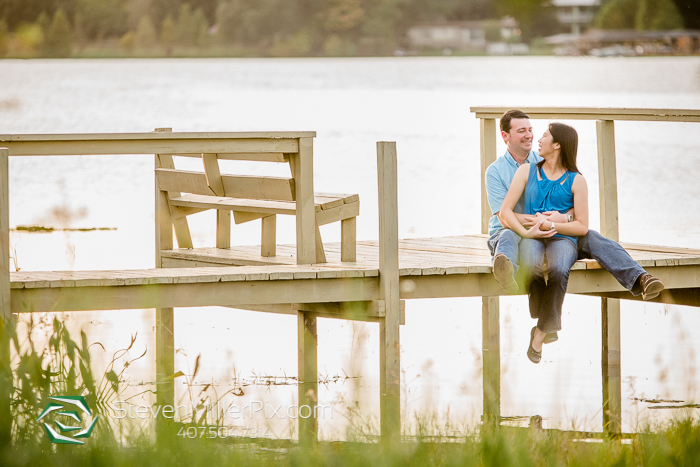 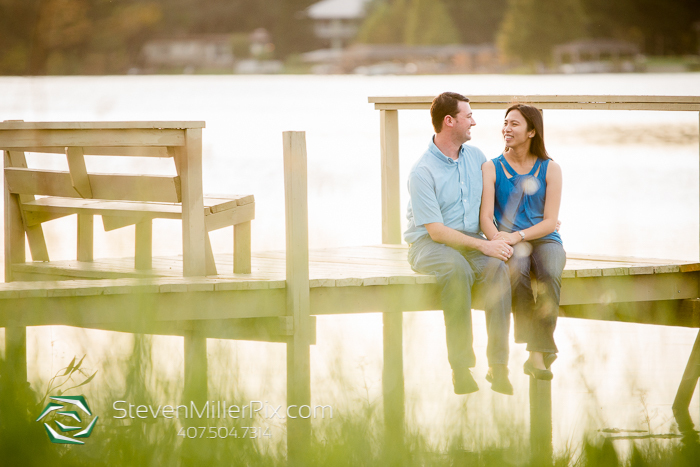 We took them to a nearby lake for some cool sunset dock photos as well! 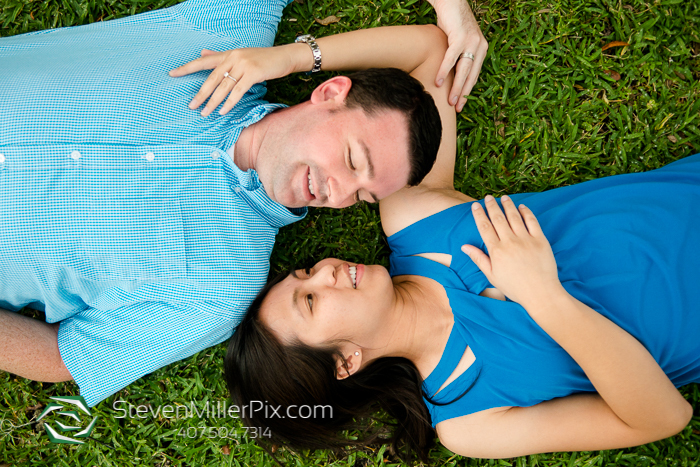 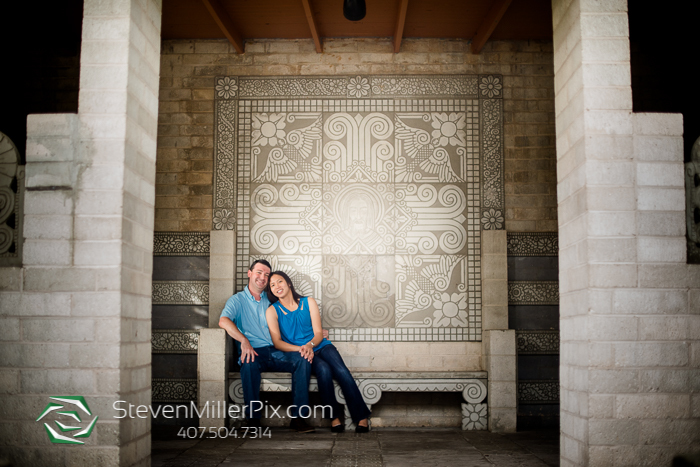 What a great time we had with these two, and we cannot wait for their wedding day next year at Loew’s Royal Pacific Resort and Holy Family Catholic Church!